Astronomers using the Hubble Space Telescope have made another amazing discovery: a galaxy 13.4 billion light years away from us. The galaxy, named GN-z11 is the most distant Galaxy ever found. 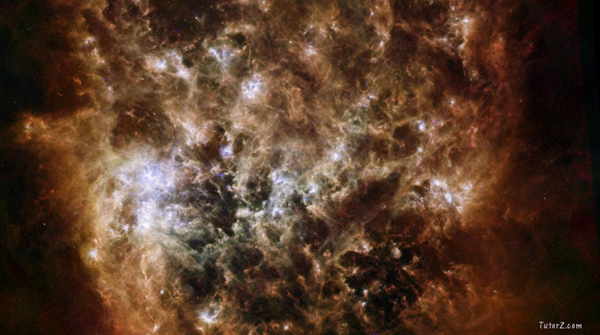 The age of the Galaxy is estimated to be just 400 million years. It is located in the direction of the constellation Ursa Major. This discovery could lead scientists to question their understanding of the way that the universe developed. As a galaxy of such a size shouldn’t have been able to exist when the universe was so young. Astronomy is one of the oldest sciences. But there are still many questions remaining about how our universe works and whether we are alone in it. I think it reminds us all why we love astronomy and why it is a fascinating subject to study. If you’re interested in studying Astronomy you can contact a great Astronomy tutor near your home. Discovering new information about our universe is always an incredible experience. In addition, Astronomy is an excellent way of exposing your mind to the thrill of scientific discovery. Learn about our universe from Big Bang to the present time at TutorZ. This entry was posted in News and tagged amazing discovery, Astronomers, astronomy tutor, constellation Ursa Major, GN-z11, Hubble Space Telescope, the most distant Galaxy ever found. Your numbers make sense. If the most distant galaxy is 13.4 billion light years away and 400 million years old then the age of the universe is 13.8 billion years. Some theorize that at the moment of the big bang, galaxies were thrown far and wide at an immense, un-measurable speed and they have been slowing down ever since. To equate the age of the universe to a linear calculation such as the speed of light is inaccurate at best. The Hubble Space Telescope has lasted more than 20 years, and in that time it has revolutionized our understanding of the universe.